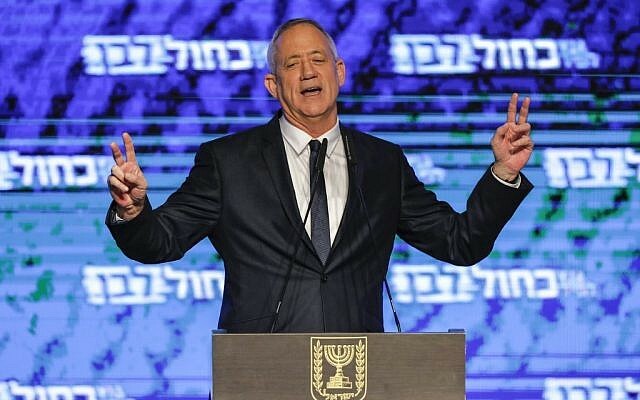 Gantz’s premature announcement was especially ridiculous in that he made it two hours after the exit polls had been broadcast, by which time every watching Israeli had long since noticed that the Channel 12 poll was an outlier; the two other exit polls, from Channel 13 and the Kan state TV broadcaster, had both shown Netanyahu with a clear path to a majority coalition. (Even Channel 12 had long since been showing all three exit polls at the bottom of its screen, highlighting the discrepancies.) That didn’t mean the two other polls were necessarily any more reliable than Channel 12’s, but it most certainly did underline the foolishness of making grandiose statements on the basis of any of them. 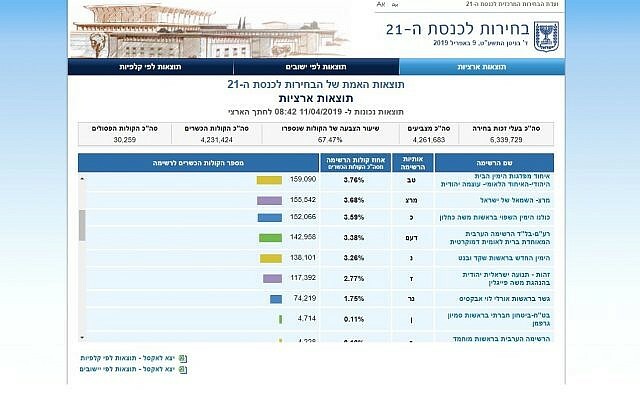 As of this writing, the Central Election Committee’s public website shows New Right at 3.26% — that is, winning four seats in the Knesset. 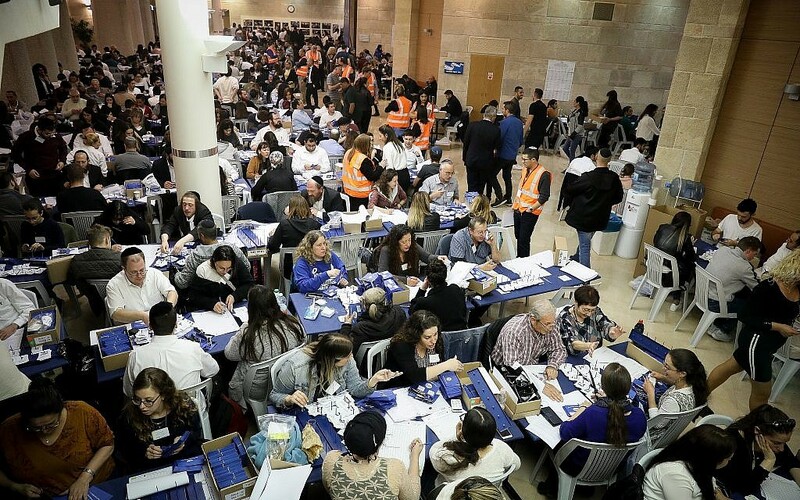 Committee officials have been saying for hours that this is not the case, however — that the New Right has failed to clear the threshold — that the count is accurate but there were issues feeding the figures into the site, again citing technical issues. 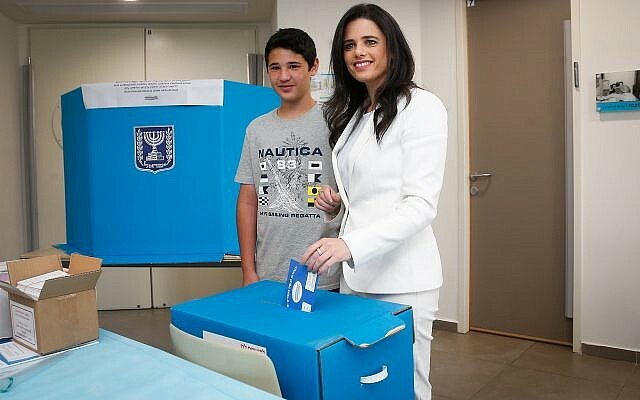 What is the Israeli voting public expected to make of this? If the site is inaccurate, for a start, why not say so? On the site.